Progressive Jazz Rock Band “NOA” was formed on January 1987 by Ichiro John Paul Takesako, who is at this moment still remaining as its member, drums/percussion and acting manager, by following its predecessor “Ichiro Takesako Group” with Hirofumi Mitoma on Guitar, Takao Ozeki on Bass. Influenced by Allan Holdsworth, Bill Bruford and other so-called Jazz Rock sound, they produced 1st studio recording album “Tri-Logic” on May 1987, which reviewed by May 1987 issue of “Player”, one of the largest published music magazine at that moment, as “establishing very unique position among the other independent rock music”. They adapted to more Symphonic Rock style music after Takashi Iijima joined to the band on 1992 as its keyboard part player. Unexpected and tragic departure of Iijima on October 2007, they put themselves on dormant mode as to public activity for several years except memorial concert for Iijima on April 2008. They restarted their public activity on August 2016, live at Hey Joe, Yokohama, Japan. Expecting issue of long-due 2nd album on 2018. Born in 1962, started getting lesson of piano and violin very young. Eventually his interest went to the guitar and still remains there. Become original member of NOA after made acquaintance with Takesako at “Art Space Aeolus”, Progressive music lovers’ circle in Waseda University. Richie Blackmore、Steve Howe、Allan Holdsworth、Ralph Towner etc. are his favorite guitarists. His solo lines are influenced by them and very sophisticated. Also composed and arranged several pieces of music for NOA. 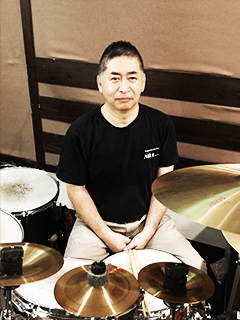 He plays with “MONGOL”, “JRB” and many other session works. Born in 1968, started getting lesson of piano very young which gave him perfect pitch sense. In 1988, started his professional carrier by joined “SOH Band”. Many composition/arrangement works around animation and drama theme music field in Japan. Also many live activities with “Dance Man”, “Rider Chips”, and other session works. 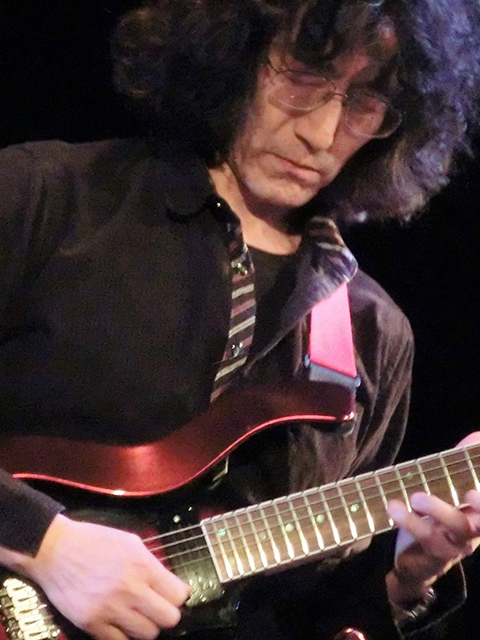 In 2014, he joined “PRISM” which has now 40 years history of activity as Japanese Progressive fusion group since 1977. Joined “NOA” on December 2007, as the successor of Takashi Iijima and has been playing keyboard part for “NOA” since then. Born in 1957. 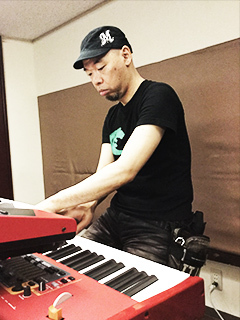 Had many session works with Akira Wada(PRISM), “Shingetsu”, Kazuto Shimizu(Killing Time, AREPOS etc.) as teenager. Joined “Aqua Polis” in 1981, met Takesako who was playing drums in there and asked Sakurai to join “NOA” after Ozeki left the band in 1988. Since then his presence has become more than bass but hub of wheel of the sound of “NOA”. In 2006, published CD album as member of “East Wind Pot” and “HAL”, both of which were highly welcomed by international critics. Having very strong groove and beautiful line at the same time makes him exempt bass player. Other than “NOA”, having many session works with Kazuto Shimizu, Haruhiko Tsuda and other Japanese progressive musicians. Born in March 1959 with Catholic name “John Paul”, he was raised by his parents who loved mainly classical music. 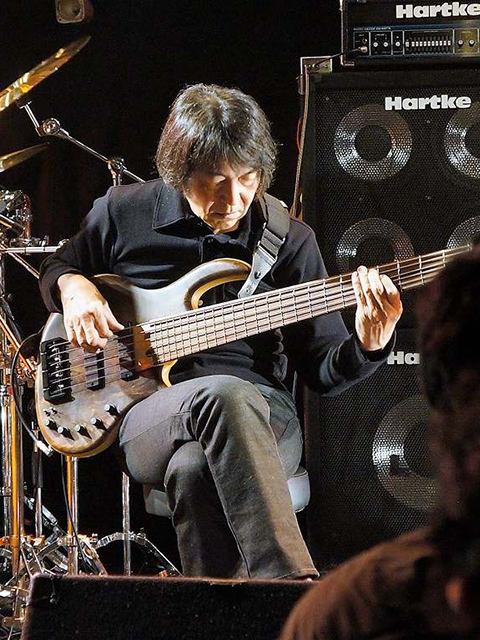 His cousin, Atsushi Kawamura, also playing drums in Kyoto area, taught rock music to him when he was 10 years old by playing record of Beatles, Deep Purple, Led Zeppelin etc. After joined “Art Space Aeolus” in 1979, he started to play drums for copying progressive rock such as Genesis, Yes, King Crimson etc. on University festival. In 1980, joined “Aqua Polis” formed by Norio Nakagata, now becoming a tycoon on so-called game music field , as one of original members. In 1987, formed NOA, produced and released its 1st original album “Tri-Logic”. Lived in New York, USA from 1995 to 2001, lived in Bristol, UK from 2009 to 2011, with 6 months stayed in Toronto, Canada, more than 9 years lived in overseas. He has composed many melody line of NOA’s music although he cannot read/write music score in short time. Bill Bruford is his mentor in his heart. January 2017, had live activity at “Silver Elephant”, first time in 9 years. July 1, 2017 had live activity at "Silver Elephant"
March 3, 2018 had live activity at "Silver Elephant"